The Judson College Equine Science Department wishes senior Sara Jean Lane of Conyers, Georgia, the best of luck and a good ride as she will once again represent the Judson Equestrian Team at the Intercollegiate Horse Show Association (IHSA) Regional Championships this weekend. The show is hosted by the University of Alabama at River Oaks Farm (5500 Culver Road, Tuscaloosa, AL 35401) and will take place Sunday, March 4. 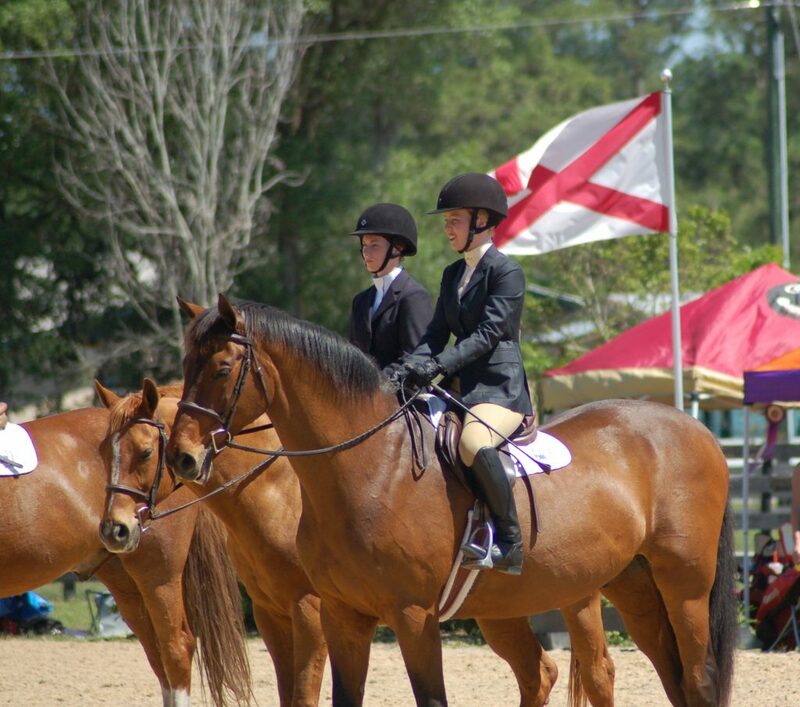 Hunt Seat classes will begin at 9:00 a.m.
PHOTO: Sara Jean Lane (foreground) riding at the 2017 IHSA Zone Championships in Ocala, Florida. Photo Credit: Jennifer Hoggle.